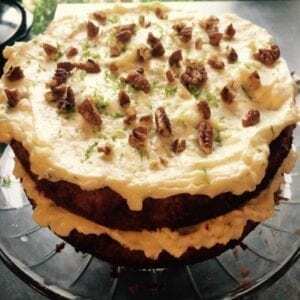 Looking for the best bakeries in Northwest Arkansas? 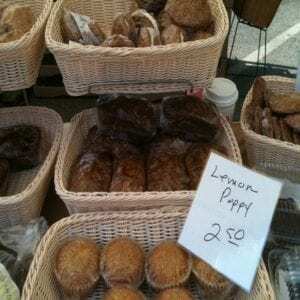 Who doesn’t smile when they recall the delicious aromas wafting from a bakery? They are places that produce wonderful breads, pies and cakes and other scrumptious baked goods. Without even knowing why, we automatically feel all warm and fuzzy inside, we feel nostalgic. 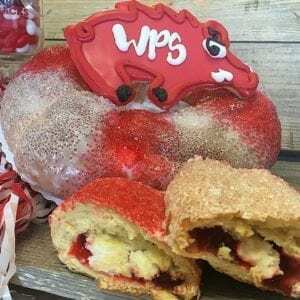 The bakeries we’ve listed below all have that ability to return us to a happier time, and besides that they all have the very best bakery items in NWA: Here are the Top 10 Bakeries in Northwest Arkansas, the list businesses can’t pay to be on. 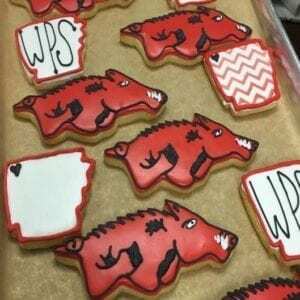 Bentonville Baking Company offers delicious artisan baked goods, custom cookies and cakes and more. Have a special occasion on the horizon? Just name the theme, and the helpful staff will come up with a delightful creation to make your celebration perfect. They also offer private baking lessons and decorating parties for those interested in learning how to bake like an expert. Open for breakfast, brunch and lunch. A visit to Oscars is a delight whenever you choose to go. Unique, delicious homemade treats like all sorts of quiche, breakfast bagels, biscuits and baguettes are served and the service is both friendly and efficient. Situated on famous White Street in Eureka Springs, it’s an eclectic spot with an interesting clientele. 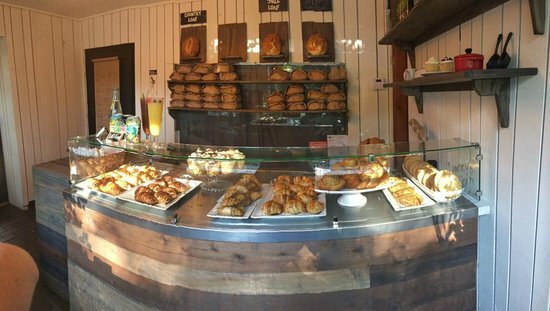 If dining in an old fashioned cottage, and feasting on fresh baked goods including European-style pastries like cinnamon rolls, scones, cupcakes, custom cakes and fresh made sandwiches and soups appeals to you, then you must make plans to visit Briar Rose Bakery and Deli. Sample the lemon cheesecake while you’re there. Your taste buds will thank you. At the Dirty Apron BakeHouse, a breakfast, brunch and lunch eatery tucked away just off Dickson and close to Fayettechill, they make naturally leavened small batch sourdough.. Specialties like the ham and cheese croissants, sourdough bread and rotating pastries are the talk of the town. 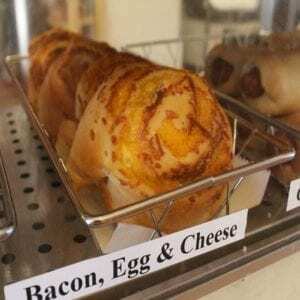 Serving breakfast and brunch, Golden Kolache Bakery turns out some of the best Kolache items you will ever put in your mouth. What the heck is a Kolache anyway? 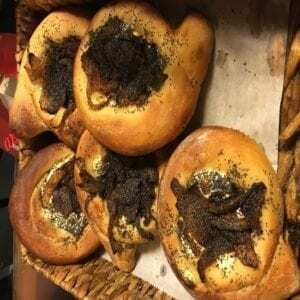 It is a warm, slightly sweet fresh-baked pastry that has been filed with fruit, meat or cheese. Works great as a delightfully different handheld for people on the go. 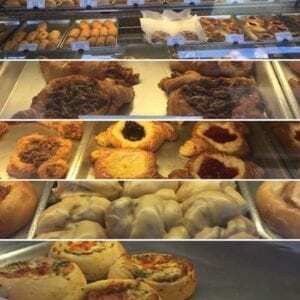 A community bakery/restaurant offering dozens of different fresh homemade items each day. Choose from a wide selection of delicious fresh baked goods including 9 varieties of bread, muffins, cookies, croissants, danishes, biscotti, cream puffs, Bavarian cream tarts, brownies, pinwheels and more. Open for breakfast and lunch. Great neighborhood spot! The Rockin’ Baker is a social enterprise that not only makes homemade, naturally leavened bread and European-style pastries, but also helps transform lives by offering immersive entrepreneurial education and on-the-job skills training to deserving people on the path to self-sufficiency. Bread choices include Frisco, Grateful Bread, Betta Chedda, Dark Side, Not-Your-Nana’s Banana, Sun Kissed, Don’t Rye for Me Venezuela and Wholey Wheaty Sourdough. 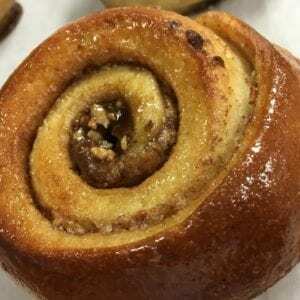 Fat Rolls is a from-scratch bakery featuring such tasty items as bready cinnamon rolls, orange rolls, fresh baked breads, scrumptious sugar cookies, lemon loaf, oatmeal cream cookies and much, much more. Fat Rolls also has regularly scheduled live music, wonderful owners and friendly service.